This is not a collection of manifesting techniques which you, unchanged, can add to your tool belt. Rather this is a profound shift in being, to a new mode of operating in the world, where you become a clearing -- an opening for the higher energies of the universe to move gracefully through you -- naturally drawing to you your highest good. As you open these new channels of flow, you become magnetic to all that is on your highest path, to all that helps you fulfill your purpose in being here. Throughout all of these journeys, Theodore has arranged for some key beings of light to create a powerful new initiation for you. They will key your vibration to a higher level, empowering you to attract, allow and embrace your highest good -- at far greater levels of fulfillment. The music is by Michael Hammer. Ray Hix - 1-Wearing the Energy of Magnificence & Power - 29:50 € 4.75 Buy this Single mp3 ! Ray Hix - 2-Aligning Your Personality For Full Self-Expression - 29:53 € 4.75 Buy this Single mp3 ! Ray Hix - 3-Adding Harmonious Love to Your Magnificence - 30:15 € 4.75 Buy this Single mp3 ! Ray Hix - 4-Being Empowered as a Channel For Miracles - 23:44 € 4.75 Buy this Single mp3 ! Ray Hix - 5-Bringing Miracle Energy to an Area of Your Life - 30:19 € 4.75 Buy this Single mp3 ! Ray Hix - 6-Becoming a Master of Flow - 30:08 € 4.75 Buy this Single mp3 ! Ray Hix - 7-Shifting to Allow Miracles - 29:43 € 4.75 Buy this Single mp3 ! 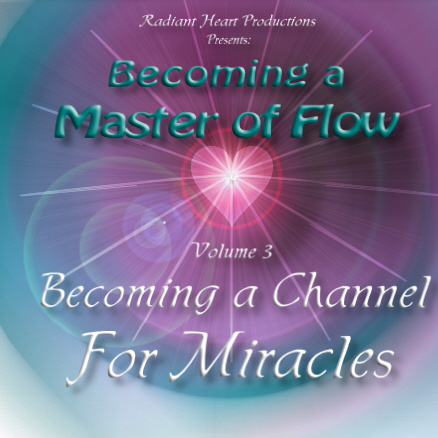 Ray Hix - 8-Embodying Miracle Frequencies - 30:43 € 4.75 Buy this Single mp3 !